The outside of your building is often a great place to promote you and your company’s services to a wider audience. Passing traffic and pedestrians can all view the message or product advertised and once installed, the sign will keep working all year round. The latest company we have provided a Wall sign for is Supafit Carpets of Horsham. Their building occupies a prominent position on the junction of Redkiln Way and Blatchford Road and is an ideal spot for a large wall mounted sign as many people pass it daily. 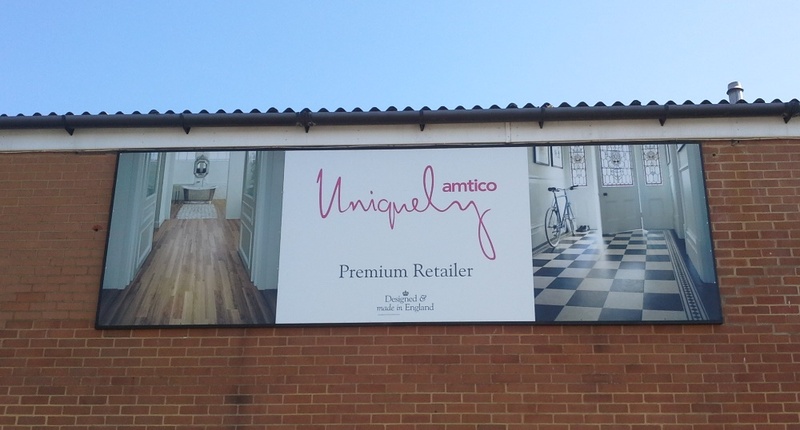 The sign itself is graphics based and digitally printed in full colour. The printed media is then adhered to an ACM panel (Aluminium Composite Material) which is robust and weatherproof.